As a champion of civil liberties in the World War II era, Francis ("Frank") William Murphy had an extraordinary political and legal career. An associate justice of the U.S. Supreme Court from 1940 to 1949, he previously had served in local, state, and federal government. He was appointed U.S. governor general of the Philippine Islands in 1935, elected governor of Michigan in 1936, and appointed U.S. attorney general in 1939. Murphy's support for workers, women, and members of religious and racial minority groups, as well as his broad reading of the First and Fourth Amendments, distinguished him at a time when both the federal government and the Court moved slowly in upholding Civil Rights. Born in Sand Beach (later Harbor Beach), Michigan, April 13, 1890, Murphy was the son of an Irish Catholic country lawyer and a devoutly religious mother. He studied at the University of Michigan before being admitted to the state bar in 1914. He then went off to fight in France and Germany in World War I. On returning to Michigan, he acquired legal experience by working in the state attorney general's office and in private practice. He next became judge for the principal criminal court in Detroit, which in turn led to a political career. 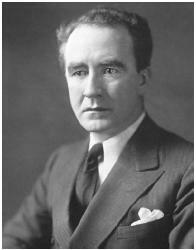 A pro-labor Democrat, Murphy was mayor of Detroit from 1930 to 1933. In the midst of the Great Depression, Murphy supported franklin d. roosevelt for president in 1932. President Roosevelt rewarded him with appointment as the governor general of the Philippine Islands. Murphy enacted Minimum Wage laws and supported women's suffrage while helping to effect the country's transition to independence. Returning to Michigan, he campaigned and won election as governor in 1936. That year the historic sit-down strike by 135,000 automobile workers proved to be the turning point in Murphy's career. He refused to deploy state police against the unpopular strikers and as a consequence lost his reelection bid in 1938. President Roosevelt named him to his administration. Although Murphy wanted to be secretary of war—and, indeed, would spend several years trying to find ways to join the war effort—Roosevelt had other plans. The president made him U.S. attorney general. Murphy established the first civil liberties unit in the Justice Department and brought suit against trust companies and a powerful Democratic Party boss, Thomas J. Pendergast of Kansas City. In 1939 the death of Associate Justice Pierce Butler opened the so-called Catholic seat on the Supreme Court, and Roosevelt gave it to a reluctant Murphy, who thought himself less qualified than others. "Official compulsion to affirm what is contrary to one's religious beliefs is the antithesis of freedom of worship." Murphy served for nine years as an associate justice. He wrote 199 opinions. Inherently suspicious of government power and passionately devoted to the rights of the weak, Murphy supported civil rights in nearly every case. He scorned the federal government's treatment of Japanese Americans during World War II, for example, and at other times sided with the claims of workers and religious minority groups. This philosophy found its best expression in 1944. "The law knows no finer hour," Murphy wrote in one of his many dissents, "than when it cuts through formal concepts and transitory emotions to protect unpopular citizens against discrimination and persecution"(Falbo v. United States, 320 U.S. 549, 64 S. Ct. 346, 88 L. Ed. 305). That case was one of several in the 1940s involving church-state issues that concerned the rights of the Jehovah's Witnesses, in this case a Conscientious Objector. Murphy often voted in favor of upholding First Amendment claims; for example, he joined the majority in ending compulsory flag-saluting for children in public schools (West Virginia State Board of Education v. Barnette, 319 U.S. 624, 63 S. Ct. 1178, 87 L. Ed. 1628 ). In another important speech case, Murphy wrote the majority opinion protecting Labor Union picketing (Thornhill v. Alabama, 310 U.S. 88, 60 S. Ct. 736, 84 L. Ed. 1093 ). Yet more often than not, his broader reading of individual rights led him into dissent against the majority. On and off the Court, Murphy faced criticism for his idealism. He was seen as too emotional at the expense of strict legal thinking. He was the target of the popular barb, "justice tempered with Murphy." His personal life only fed his somewhat prim reputation, because he was a hypochondriac who never drank, smoked, or married. Chief Justice harlan f. stone disliked him for another reason: he thought Murphy was too reliant on his law clerks. Although Murphy occasionally seemed out of step with both the Court and his times, his broad vision of civil liberties was later vindicated. In particular, he believed in vigorous application of the Fourth Amendment's prohibition of unreasonable searches and seizures by the police. Murphy dissented in Wolf v. Colorado, 338 U.S. 25, 69 S. Ct. 1359, 93 L. Ed. 1782 (1949), where the Court refused to apply to the states what already existed for federal courts: the ban on admitting improperly seized evidence in a trial. He wrote that the majority, by leaving state courts out of the equation, was allowing "lawlessness by officers of the law." Twelve years later, in 1961, a different Supreme Court agreed with him and overruled Wolf in the landmark case mapp v. ohio, 367 U.S. 643, 81 S. Ct. 1684, 6 L. Ed. 2d 1081 (1961). Murphy died on July 19, 1949 in Detroit, Michigan. Witt, Elder, ed. 1990. Guide to the U.S. Supreme Court. 2d ed. Washington, D.C.: Congressional Quarterly. Flag; Japanese American Evacuation Cases.